Since 1997 La Closerie des Lys has been owned and managed by Christian Collovray and Jean-Luc Terrier. 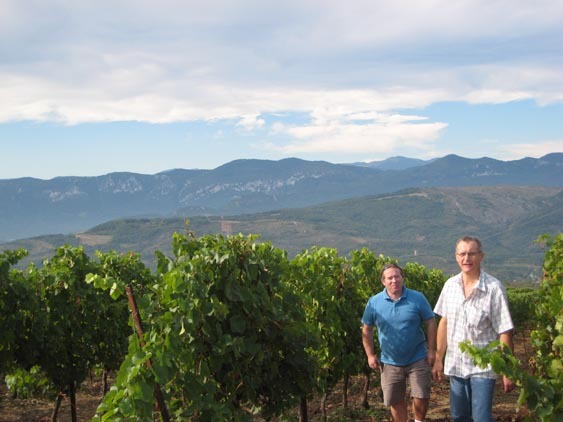 These childhood friends grew to become business partners of Domaine Des Deux Roches in the Mâconnais. Looking to expand, they focused on Languedoc, where land prices were much better than in Burgundy. La Closerie des Lys, tucked away in Limoux’s Haute Vallée, quickly became the clear choice. This domain is roughly fifty miles west of Carcassonne in a lovely, isolated mountain valley hidden in the Pyrenean foothills, anchored by the old village of Antugnac (whose church was built as a kind of bastide, or fortified building, to protect the villagers from marauding bands in the middle ages). The vineyard parcels start at the village, but the majority climb the heights of the south-facing flanks, growing between 280 and 530 wind-swept meters above sea level in meager limestone soils. 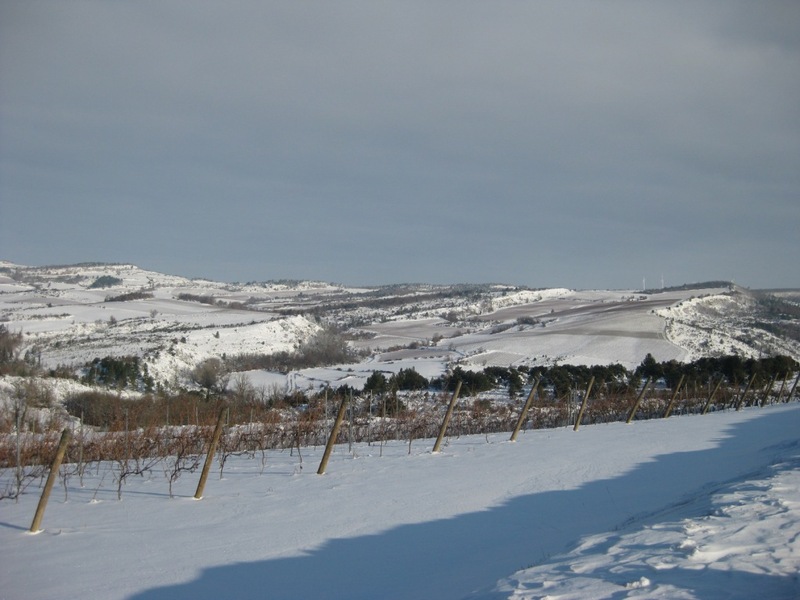 The partners quickly understood that this location offered mountain coolness strongly tempered by Languedoc’s sunshine. Limoux is Languedoc’s only cru for white wine because it is the coolest region in Languedoc, and Limoux’s Haute Vallée is the coolest of the cool (the temperature influence is such that the old vine Chardonnay here follows the same vegetative cycle as the partners’ Chardonnay in Mâcon). They figured that wine from these mountain vines could achieve sunny ripeness coupled with distinct freshness, and what they tasted confirmed the possibility. What they have come to subsequently make certainly confirms this, and it’s aided in no small part by their attention to detail. Harvest typically begins in the wee hours before dawn and finishes by 11 in the morning, before the hot weather commences. Extractions lean toward the light and short scale. They look for fruit, not power. Beginning in 2002, the partners began planting new, high-density parcels on Closerie des Lys’ hillsides. Today, the domain farms 96 hectares, or nearly 240 acres. The majority is planted in Chardonnay, but thirteen varieties are cultivated. 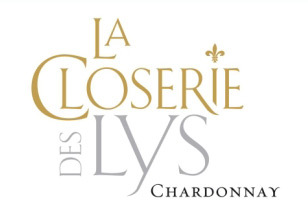 Closerie des Lys wines are based on grapes from the domain and augmented by grapes purchased on the négociant market; they are remarkably well-priced and lively. Closerie des Lys Blanc Equal parts Chardonnay, Sauvignon Blanc and Vermentino Fresh, toothsome fruit from an intriguing blend, and an unbeatable price/quality ratio. Closerie des Lys Rosé Based on Syrah, with Cinsault and Grenache. Like the white above, this rosé rises above its class in flavor and freshness—and is an unbeatable value. Based on Merlot, with the two Cabernets and Syrah. The Cabernet notes sing in this mountain red—herbs, tobacco, red fruit, and terrific value. Chardonnay From Limoux, however, with its cool hills, Chardonnay turns into something altogether different, a wine with a pulse, a wine with dimension. So wrote Tamlyn Currin in an article on Languedoc on Jancis Robinson's site, and it sums up this wine nicely. This is unoaked mountain Chardonnay at its best, lifted, fresh and quite delicious. Pinot Noir This comes from neighboring high-altitude vineyards planted in limestone soils and in cooler climates (ripeness and freshness are the two paramount criteria). The wine is raised half in older barrels and half in tank. Production averages between 2,500 and 3,300 cases per year. Based on Chardonnay, with 15% of the local favorite, Mauzac--prized for acidity and aromatics. The soil, consisting of limestone covered by clay, is typical of this wine-growing area. Affectionately called "terre amoureuse" by the locals, its English translation is "loving soil", as it becomes hard, sticky and difficult to walk through during the rainy months and sticks to the soles of your shoes as if it doesn’t want to leave you. This wine comes from parcels growing at 1,300 feet above sea level. It’s a blend of Chardonnay with 15% of the local favorite, Mauzac. The primary grape for sparkling Blanquette de Limoux, Mauzac has long been prized for acidity and aromatics. Terres Amoureuses is fermented with indigenous yeast and around 3,000 cases are made each year. Antugnac Pierre Lys Pinot Noir Pinot Noir The Gorges de la Pierre Lys is a savage looking limestone gorge that the Aube River passes through, not far down river from Antugnac’s mountain. The grapes for this wine come from the domain’s best parcel of Pinot, planted in the early 1970s at 1,650 feet above sea level. It's often said in France that Limoux is the finest region for Pinot Noir outside of Burgundy, and this wine is a good example of why. The fermentation is done with indigenous yeast and around 800 cases are made each year. Antugnac Limoux Rouge "Aux Bons Hommes" Based on Merlot (from the domaine's 1972 plantings), with Cabernet Franc followed by Syrah. The translation is "to the good men," which comes from Languedoc’s past when it was the region of the Cathars, a religious group that was known for its asceticism and good works and thus earned the moniker of the good Christians, or good men (although the Church rulers thought otherwise and finally decided to kill them all, which it did with a crusade in the 13th century; thereafter Languedoc, heretofore a progressive region of high culture and tolerance, fell into a long economic decline). Aux Bons Hommes is based on the domain's original 1972 plantings of Merlot, with Cabernet Franc followed by Syrah. It’s raised in a mixture of tank and barrel, and around 2,000 cases are made each year.